The humble pencil was the simple solution that Three Idiots’ Rancho gave for the complex riddle of how to write in zero gravity. For about six centuries, the pencil has left its indelible mark as an all-weather writing instrument, after the accidental discovery of hard graphite at a nondescript Lake District village in England led to the commercial production of what would become the least inexpensive — yet must-have — item on modern desktops. Perhaps the instrument’s continuity as a stationery item was never in doubt. But when the mobile phone got its own pencil of sorts, the stylus, the thought crossed the mind of Santosh Raveshia. The promoter of Doms Industries, which makes the eponymous brand of pencils, believes he may have been hasty in considering a premature end for this line of business. Smart boards have already replaced blackboards in most classrooms, but primary schools still encourage use of wooden pencils as it helps build motor skills in children, says Raveshia (42), who retails stationery and art range. The classic wooden pencil has hitherto not been threatened by industry inventions, be it polymer pencils, fountain pens, mechanical pencils or the ubiquitous ballpoints. Pencil sales are still rising in India, though growth has been rather slow over the years. Locally, the industry is dominated by a handful of family businesses. Apart from Doms, there is Hindustan Pencils, which owns household brands such as Apsara and Nataraj. Camlin, now known as Kokuyo Camlin, is an established player. Another smaller original equipment manufacturer (OEM), Maharashtra Pencils, makes up the quartet that manufactures most of the pencils sold in the country. Interestingly, the pencils business writes the tale of traditional business communities: The Raveshias of Doms are part of the Lohana community, which, experts believe, would take any kind of risk. By contrast, Hindustan Pencils’ Sanghvis are a part of the Kapol Bania community, which is rather conservative in business decisions. Market leader Hindustan Pencils has a 45% market share and is the largest manufacturer in India, at 8 million pencils a day. The company was started in 1958 by friends BJ Sanghvi (fondly called as Babubhai), Ramnath Mehra and Mansookani. They learnt the trade in Germany and eventually, Sanghvi took control of the factory. Hindustan Pencils is manufactures locally. Wood used is harvested from private land and farms, protecting biodiversity and maintaining ecological balance. It has 10 plants at five locations and exports to 50 countries. The Sanghvis, Harendra and Kirti, are managing directors. Their children — third generation Bhowmik and Dhruman — and other family members are in senior leadership roles, looking after domestic operations and exports. 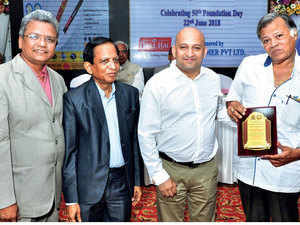 Hindustan Pencils has managed to stay dominant without a foreign partner, unlike the other players, says Pravin Sanghvi (Harendra is his nephew), who worked in Hindustan Pencils until 1970 before amicably parting ways to start his own wholesale and distributorship of stationery products. “It’s a close-knit family business and the senior management prefers to stay away from the limelight,” he says. 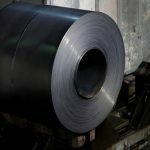 However, industry experts say lack of foreign technology has put Hindustan at a disadvantage, with margins and growth coming under pressure. 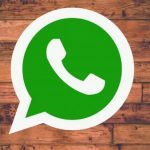 Multiple calls and emails to Harendra, Dhruman, Kirti and Bhowmik Sanghvi did not elicit a response. The Dandekars of Camlin made ‘horse brand’ ink powder and tablets, fountain pens, sealing wax and school chalks when they started out in 1939. It forayed into colour pencils in 1970. In May 2011, Kokuyo S&T Company, a wholly-owned subsidiary of Japan’s Kokuyo Company, acquired a controlling stake in Camlin with the aim of transforming it into an office stationary manufacturer. The joint venture has helped scale up revenues and roll out a portfolio of products faster. Dilip and Shriram Dandekar continue as chairman and managing director, respectively, in non-executive capacities. Santosh’s father Rasiklal Raveshia, partner Mansukhlal Rajani and their younger brothers Harshad Raveshia and Suresh Rajani, laid the foundation of RR Group ‘DOMS’ in 1974. Formerly known as Writefine Products, Doms started off as an OEM (contract) manufacturer to Camlin and other renowned stationery brands of India. Santosh’s father worked in a leading pencil factory during 1970-74. Gujarat then started an entrepreneurship programme offering Rs 500 monthly to start a business. And that’s how the Doms factory was started in Umbergaon. A tragic road accident killed Santosh’s parents and vaulted the second generation into active business roles and the family now has more than 15 members in leadership roles. The core leadership team includes Santosh Raveshia, Chandni Somaiya (sister), Sheetal Parpani (sister), Ketan and Sanjay Rajani, Vijay Somaiya, Amarjeet Sharma, Purav, Suraj, Sumeet, Rahul, Swain and Prativ. In 2015, Fabbrica Italiana Lapis ed Affini (FILA) increased its stakeholding in RR Group’s Writefine Products to 51%, thus becoming a partner. Doms follows an ownership culture, where every family member is treated as an owner of his or her area of operations. This has helped it grow in all product lines without conflicts, says Raveshia. Today, Doms has managed to capture a market share of 30-35% despite being a late entrant. “Children today are more articulate and we have managed to connect with their choice of products,” he says, which Mita Dixit, Director and family business advisor, Equations Advisors, agrees with. “Pencil as a product may look old, out of fashion in front of touch screens and styluses, but nowadays pencils are coming in innovative variations. I think the pencil industry is rejuvenating itself”, says Mita Dixit. 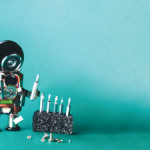 “Connecting with children directly will be key.” Doms’ core competency continues to be pencil manufacturing, making about 5 million units a day, with maximum revenue generated through its own brand. “There is more acceptance of premium pencils,” says Raveshia. A smaller pencil maker based in Vasai and largely selling to OEMs, the Maharashtra Pencil factory was founded in the early 1970s by Kishandas Dhankani. Getting into pencil manufacturing at that time was an extension of his business interests in stationery, as he was sole selling agent for Lion Pencils. The legacy was continued by his son Chander, who, at 81, is still active in the business. But as times changed, several major ballpen manufacturing companies wanted to make pencils to complete their basket of stationery. That’s when Maharashtra Pencils switched from making pencils for its own brand to becoming OEM supplier. “We made pencils for Luxor, Cello, Todays and even Navneet Publication,” says Manish. Both Camlin and Hindustan have witnessed slow or declining growth in recent years. Being a commodity product, net profit margins are quite thin. In fact, Doms has managed one of the highest net profit margins in the industry, at 6%, says Anchal Agarwal, cofounder, Tofler, a business intelligence platform. She adds that Doms is financially a better managed company, with 14.5% return on equity (RoE). It also enjoys a low debt to equity ratio of 0.21. The net profit margin of Camlin and Hindustan Pencils in FY18 was 0.15%. 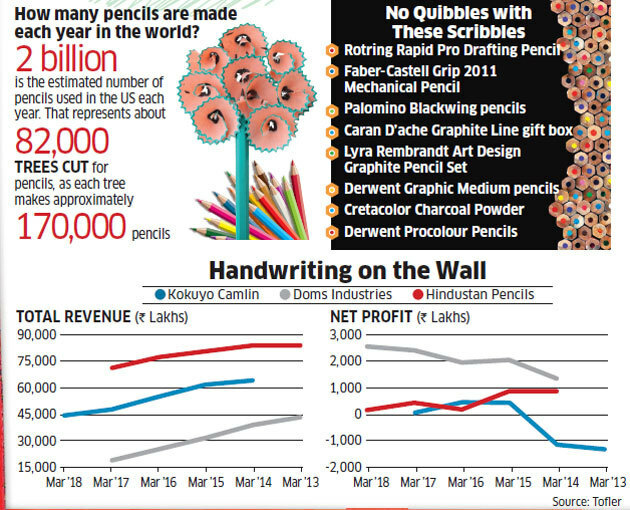 Hindustan Pencils is the largest pencil manufacturer in India, with a turnover of Rs 844 crore, while Doms is the fastest-growing, with sales of Rs 437 crore expanding about 20% on-year. Kokuyo Camlin’s turnover hovers around Rs 600 crore (See table). Doms’ net profit has been steadily expanding — from Rs 13 crore in 2014 to Rs 26 crore in 2017-18. Hindustan Pencils has seen profits contract from Rs 9 crore in 2015 to Rs 1.17 crore in 2018. Kokuyo Camlin, which posted losses in both 2013 and 2014, saw a profit of Rs 4.9 crore in 2015 to Rs 9.8 crore in 2018. Camlin appears to be struggling a bit while managing its business financially as well as operationally. It has low gross and net profit margins and low RoE. It also carries the most inventory on its books and has the highest outstanding receivables, points out Tofler. A complicated manufacturing process and investment needs have kept new players away from the business, says Subhash Dandekar, chairman emeritus, Kukuyo Camlin. Several pencil manufacturing units, such as Lion and Moonlight, have had to shut down. The manufacturing process from start to finish takes a couple of weeks. Pencil manufacturing began locally in the 1950s. The earliest in the business sold imported pencils from wellestablished brands in Europe. India’s search for wood used in pencils began well before 1920. Initially, wood was imported from California but this proved uneconomical. For a brief period, Camlin and HP used cedar wood from Kashmir, though it was hard and oily. For a while, wood was also sourced from Kerala. While this was better than Valley cedar, rejection levels were high. As the pencil manufacturing industry grew, it became more and more difficult to depend on imports. By the 1950s, when domestic consumption was almost three quarters of a billion pencils annually, deodar was reconsidered an alternative to imports, a timber on which India is still largely dependent. Dandekar piloted research for a substitute. By 1945, the Forest Research Institute of Dehradun identified 80 different woods suitable for pencil making, but the high knots and slanted grain did not make it feasible. It was found that poplar from Kashmir came close to the Californian cedar. Camlin and HP started using this. 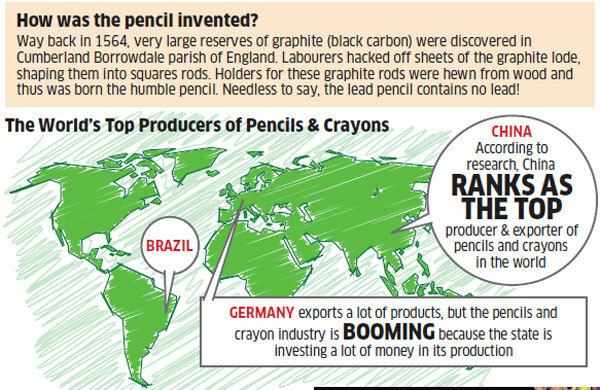 Pencil manufacturing remains labour-intensive; yet, Raveshia says Doms offers pencils at Rs 2-7 a piece. The main revenue is generated through Rs 5 pencils, where MRP has remained stagnant for years in spite of raw material prices going up. After all, as Subhash Dandekar reminds us, “Even in pencils, consumers are brand conscious. It should not appear as a commodity.” Businessmen, add that reminder in pencil.